This is astonishing: you can expect a 60% boost in team productivity from this single practice! The cost of re-stacking your cubes or office spaces is trivial compared to the benefits. If you are going to do this, do it right! Do the research, hire an agile coach or consultant, and make sure it is done well. One organization I worked with was very excited about their new team room setup. They had a nice open-concept layout with lots of windows etc. But they had also made some big mistakes including that all the developers on a single team would have a low wall separating them from each other. Because of poor layout that would block communication paths, their new setup would actually be worse than their old setup! Some research has shown that you can expect as much as a doubling of productivity (reference). This is one practice you don’t want to let your competitors pick up before you do! 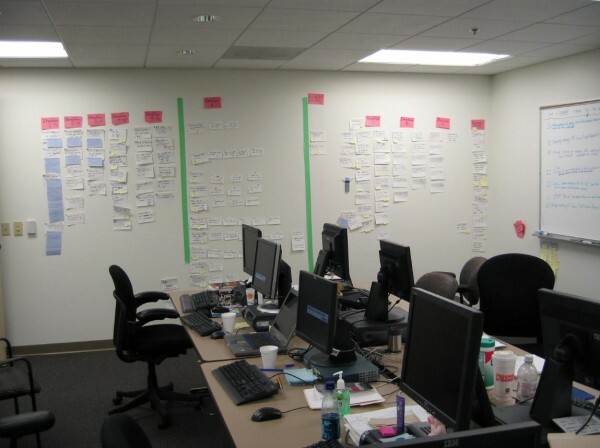 Here are some tips on agile team room setup. The short iterations provide a certain type of pressure that forces team and project crisis to happen quickly. However, because iterations deliver working, valuable results, the pressure is not demoralizing, instead it motivates teams to get through the crisis and reach the norming and performing stages of development quickly. Again, to make this work, there are some critical success factors including methods of allowing team commitment, self-organizing and obstacle removal. There is a myth that speed and quality are mutually exclusive. This comes from the idea that you need to slow down to make stuff high quality or that you need to sacrifice quality in order to go fast. It is true that initially you might get gains through these approaches. The really amazing thing happens when you try, deliberately and systematically, to do both high speed and high quality work. In software development this is best done through test driven development. In informal polling I’ve done with teams I’ve worked with, test driven development produces a noticeable long-term productivity gain as well as a simultaneous increase in developer and end user satisfaction due to a substantial reduction in defects discovered after the code leaves the developers. I have seen teams doing this that reduce defect rates to 5% (or less!) of what they once were prior to test driven development… while at the same time delivering projects faster than expected. Since substantial expense is squandered on defect management (tools, support teams, user training, lost productivity, etc.) and since staff turnover is also high in IT and high-tech, the results of test driven development on the bottom line are substantial. If a team and an organization adopt these practices, get through the initial cost of learning them, then I would like to suggest that your teams can easily double their productivity if not more. For a team of 5 people working on a 100 day project this amounts to shortening the project to 50 days (save $200,000) or get twice as much work done. Clearly, an organization that adopted these practices and perfected them would save huge amounts of money and would be able to crush any competitors not doing this. 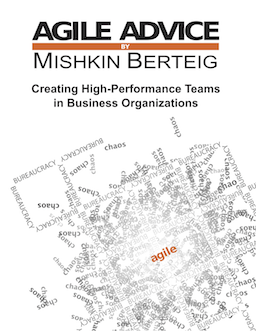 Previously I wrote a more general treatment of the benefits of agile and an article that lists other resources discussing the benefits of agile. Any discussion of benefits should at least say a few words about how exactly to measure those benefits! However, I’m out of time. How do you measure the benefits of agile?